Welcome to the first TFS project, GeoBat! 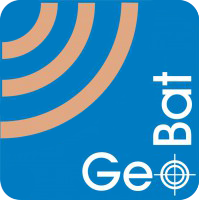 GeoBat is an Android application based in GPS location (already available on the Play Store). The GeoBat App allows you to locate your friends and calculates the distance to them when they are connected, regardless of where they are on the globe. Why come up with such an application? In TFS we tried to do something simple and useful for users, while relating it to aerospace. Therefore we decided to focus on satellite geolocation and the easiest way to do that is through Android programming. The structure of this app consists of a GUI (Graphical User Interface) with different screens, the Data Base interaction and obviously the use of the Android tools for GPS. We have been supported by ESA’s CESAR project to carry out this app.